Whenever my parents visit, travel is a top priority. Using Amsterdam as a base, most European destinations are only a train or plane ride away. Portugal never entered the radar until I joined the travel Twitter community, especially chats like #TRLT and #CultureTrav. 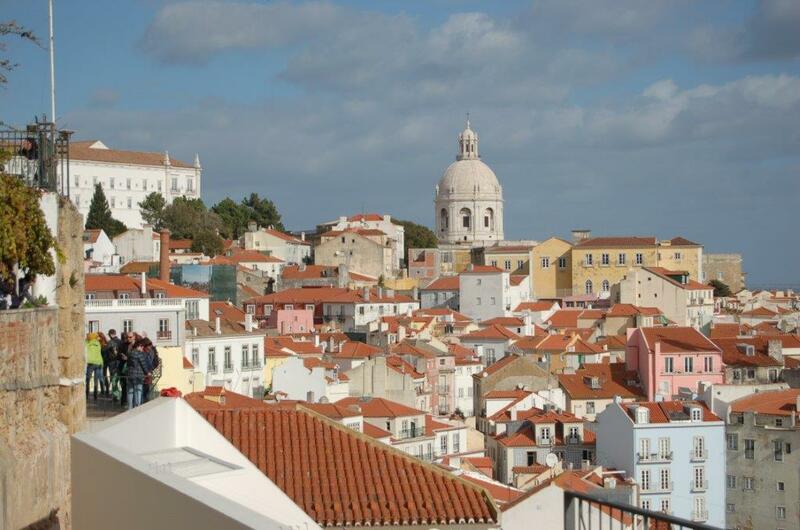 The colourful photos posted of Lisbon immediately caught my eye. Based on other travellers’ experiences, I knew we had to visit. Hoping to take a break from the Dutch weather and soak up some sunshine, we planned our trip for November. 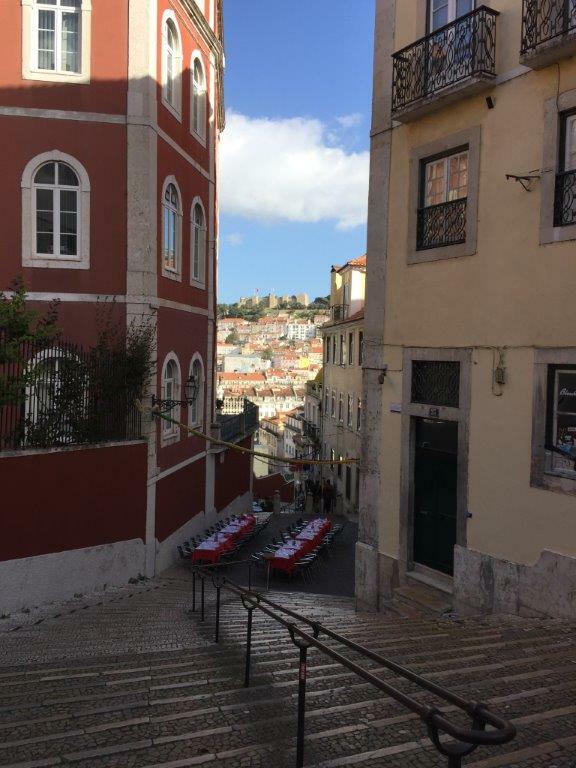 In Lisbon, we stayed in a cozy apartment in the Bairo Alto neighbourhood, home to many Fado (traditional folk music) establishments. The host graciously picked us up from the airport by car, and on the way, we caught a glimpse of Lisbon’s character. Between the colourful tiles and breathtaking sights, the city demanded to be seen. We explored on foot and were taken aback by the steepness of the streets. Meandering around the city, we walked from one district to another. Alfama, for instance, boasts quaint, narrow streets, while Baixa is the bustling downtown center The many sites along the way include Castelo de São Jorge, the city's main square (Terreiro do Paço), the riverfront, and Estrella Basilica. Each and every area has its own personality. Hop on Tram 28, a historic line that rides through some of the most picturesque parts of the city. The tram fills up fast, with locals and tourists alike, so try to plan this for earlier in the day. Also, wear good walking shoes. ​From low elevations to the highest heights, we seemed to be presented with one great view after another. Once we successfully climbed a steep set of stairs, we often turned around to appreciate the trek we just made. There it was: a fantastic new angle. For example, the National Sanctuary of Christ the King is located on the other side of the river. 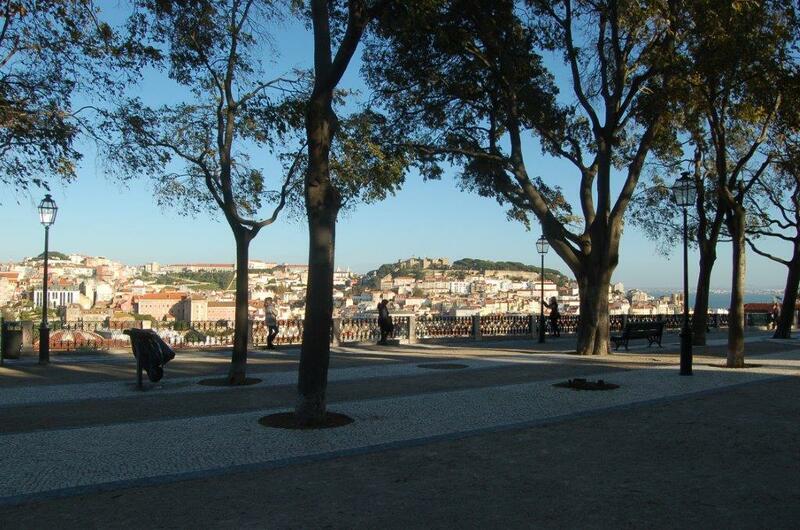 ​We decided to take the ferry and see Lisbon from another vantage point. Traversing our way up a small slope, we were soon presented with a spectacular view over the downtown. The sunset created a glowing halo behind the statue, too. 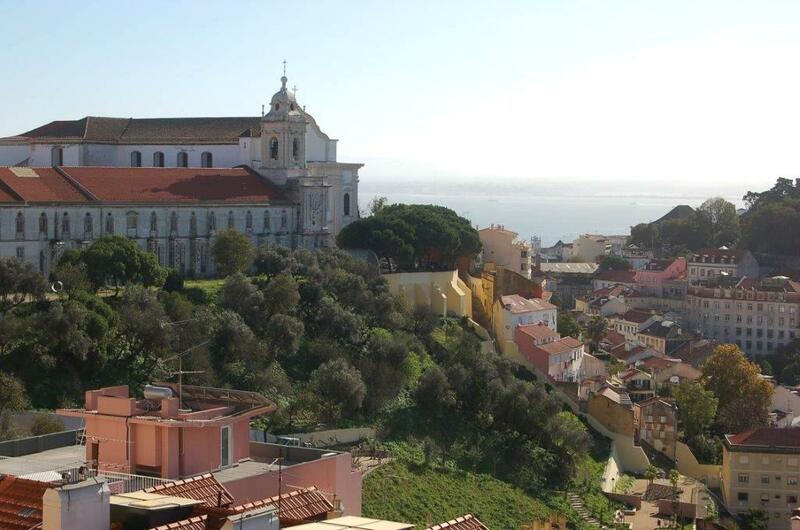 Also, the Miradouro de Nossa Senhora do Monte in the Graça district, the highest point in Lisbon, is an uphill battle, but the hardy souls who make the climb are rewarded with an unparalleled view. Lisbon exposed its splendor everywhere we turned. 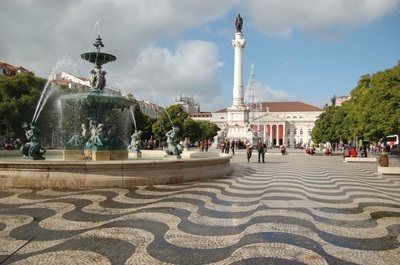 Portugal is known for several specialties, but in particular for its seafood. Lunching at Cervetaria Paco Real, we indulged our inner foodie; all of us ordered the dorado. For a sweet finish, we visited a local bakery to enjoy pasteisdebelem, melt-in-your-mouth custard tarts. Dinner at Restaurant 151 allowed us to tickle our taste buds, this time trying veal in a wine sauce, cod croquets, bacalhau a bras, steak, and octopus. Bacalhau – salted cod – can be prepared in a variety of ways. This variation in particular is served with onion, scrambled eggs, and potatoes. Padarias E Pastela bakery, around the corner from our apartment, helped us start our day right. The staff spoke very little English, but our hand gestures paid off. The sandwiches were fresh and savoury, while the chocolate croissants were a sweet surprise! The country is known for fine wine, so naturally – wine lovers ourselves – we traversed the city to visit Wine Bar do Castelo. The place has more than 150 Portuguese wines by glass. The server was knowledgeable and attentive, deepening our appreciation for Portuguese wines. Following the tasting – four samples per person – and a cheese and sausage spread, we dropped by Tapas 52 Bar, only to order more sausage, bread, and olives. The main events, however, were the lamb shank and pork cheeks – melt in your mouth meat. Although we didn’t make it there this trip, we heard wonderful comments about Sintra, a fairytale city home to colourful castles. The area is accessible by car or bus and is a short trip from the capital.